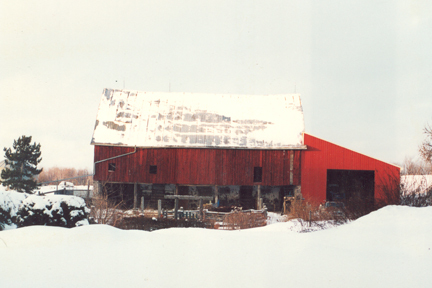 The Brown's barn after it was painted and the addition constructed. This farm, Lot 1 Conc 1 EHS West Half, Mulmur was bought in 1874 by brothers William and Duncan Bell. They built the 60' by 60' bank barn - Pennsylvania style (meaning it had a gangway from the bank into the upper floor) in 1890 from wood taken out of the bush on the farm. The stone foundation was built by an unknown stone mason (ie NOT a rubble wall, which would have been normal construction at the time). It had a cow stable at the east end for milking, and horse stables with box stalls at the west end. Originally there was a plank floor in the stables but it rotted out and was removed in the 1960's. A dirt floor remained. The hay car and track was manufactured in Oshawa in 1886. 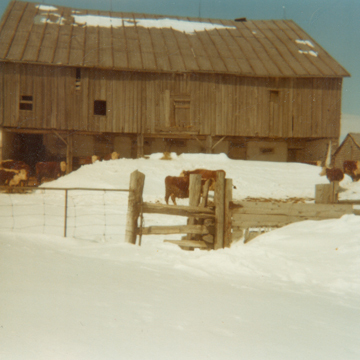 The sliding granary door was 60 " wide, made of 3 boards. In July, 2014 the barn was taken down. It was deemed unsafe. A couple from Arizona purchased the usable timbers and siding to build a barn on their ranch. 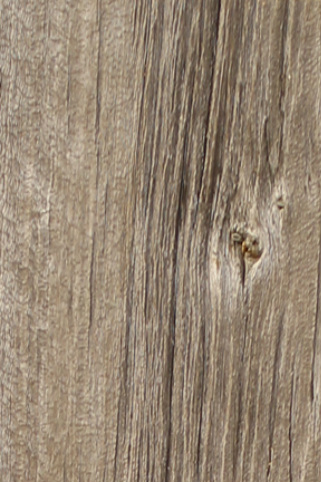 The wood from the Brown barn was thin and highly textured. It presented a very interesting challenge. I decided that I would like to find a way to retain as much of the character as possible. After much thought, the only course of action seemed to be to embed the barn board in epoxy. This was something that I had never done before. Although I had worked with epoxy it was not to this extent where almost 50% of the piece was epoxy. I created a mold and poured a layer of about 3/8" of epoxy. I let this dry overnight. I then poured a second layer of about the same thickness and immersed the barn board in it. When this was dry I added a third layer and completely covered the barn board. The barn board in the mold after the second pour. 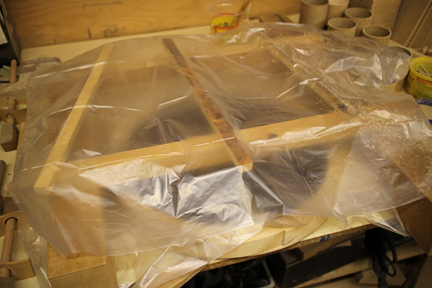 The mold covered with plastic to prevent dust landing on the surface while the epoxy dries. 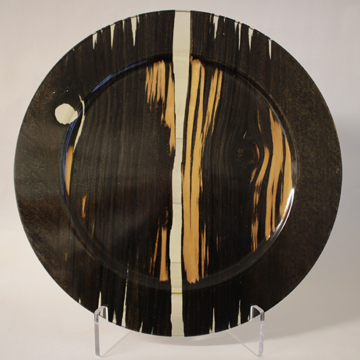 The epoxy makes this piece considerably heavier than the other platters but also makes this one of the more stunning turnings in the show. This video on the right is just a little bit of fun. 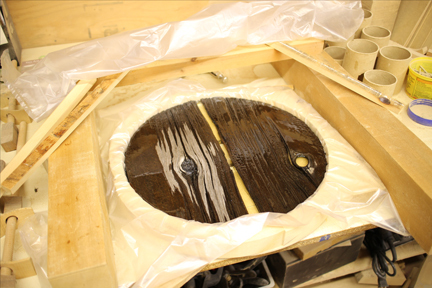 Watch as the long streamers of epoxy come off the gouge as I turn the back of the platter. The piece on the left was added to the show in the summer of 2015. 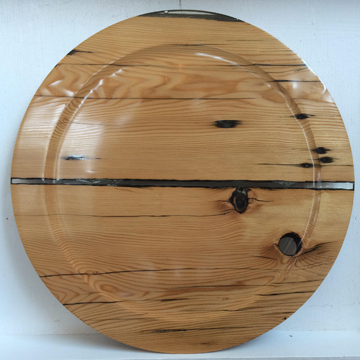 This platter is also made from one of the barn boards from the Brown's barn. While not weathered like the above piece is better shows off the true nature of fir. This video shows the turning of part of the reverse side of the platter. If you watch carefully you can see the wood starting to emerge. While it was important to keep as much of the wood as possible embedded on the front of the platter, I allowed the wood to come through on the back and this makes for an interesting contrast.